Data encryption should matter for your business because IT security works best when several methods are working together. Data encryption should matter for your business because IT security works best when several methods are working together. Data encryption will make your data unreadable to those who don’t have authorization. It turns simple text into complex code that can’t be broken, even by the most talented hackers and advanced computers. You might not find this step necessary, but it’s always best practice to take every precaution to protect your business and your clients. 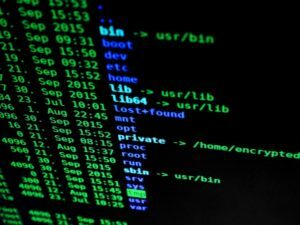 Hackers work around the clock to come up with new advanced and sophisticated ways to infiltrate and bypass your business’s security system. However, even if a hacker can get through your systems and firewalls, the information they access will be completely useless. Without the password or cipher key associated with your data encryption, they won’t be able to make any use of the unreadable data. Also, data encryption is necessary because, without it, you could face severe financial consequences that could result from the theft of your clients’ confidential and sensitive information. Not having data encryption in place is equivalent to leaving your doors unlocked. It puts access to confidential materials in the hands of people who seek to benefit from having that data in unlawful ways. You’re not only protecting your clients, but you’re protecting your business and its future. One of the biggest challenges of information technology security is to keep up with the pace of inventive hackers. Therefore, there are many great options available on the market for incorporating data encryption into your overall network security plan. The options are designed to completely and seamlessly encrypt your device’s hard drive. You won’t necessarily see a difference in the way you operate your device but, in the background, the data encryption system will be working to keep your data secure. Options are available for both PC and Mac platforms. Experience a superior method of getting the public-sector technology solutions you need through forming a partnership with En-Net Services. Our seasoned team members are familiar with the distinct purchasing and procurement cycles of state and local governments, as well as Federal, K-12 education, and higher education entities. En-Net is a certified Maryland Small Business Reserve with contract vehicles and sub-contracting partnerships to meet all contracting requirements. This entry was posted on Friday, June 15th, 2018 at 11:22 am. Both comments and pings are currently closed.